This book investigates the best strategies for poverty alleviation in post-disaster urban environments, and the conditions necessary for the success and scaling up of these strategies. 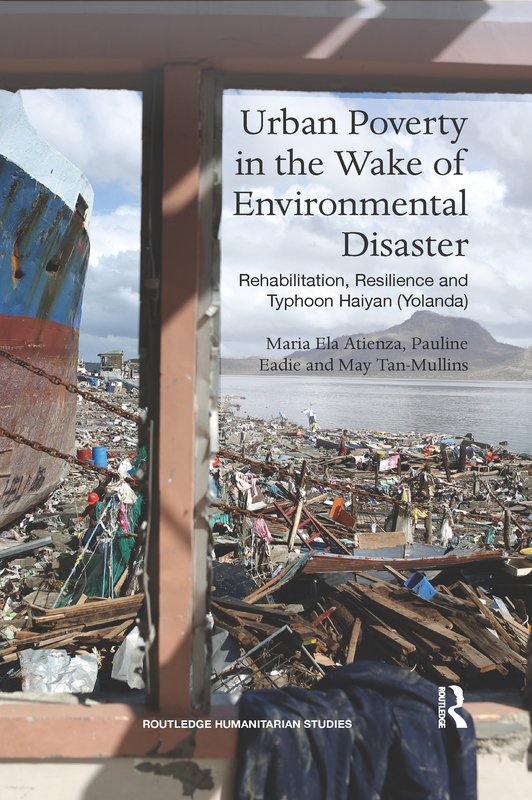 Using the case study of Typhoon Yolanda (Haiyan) in the Philippines, the strongest typhoon ever to make landfall, the book aims to draw out policy recommendations relevant for other middle- and lower-income countries facing similar urban environmental challenges. Humans are increasingly living in densely populated and highly vulnerable areas, often coastal. This increased density of human settlements leads to increased material damage and high death tolls, and this vulnerability is often exacerbated by climate change. This book focuses on urban population risk, vulnerability to disasters, resilience to environmental shocks, and adaptation in relation to paths in and out of poverty. Using both qualitative and quantitative methods, including primary survey data from victims and those charged with overseeing the relief effort in the Philippines, Urban Poverty in the Wake of Environmental Disaster has significant implications for disaster risk reduction as it relates to the urban poor and is highly recommended for scholars and practitioners of development studies, environment studies, and disaster relief and risk reduction.